Switch up your Look with Fun New Hair Color from SPLAT~ Wash Out Hair Dye! Do you ever feel like changing things up a bit, but you don't want to get stuck with a permanent hair color? Introducing Splat 1 Wash, a temporary water based dye that is applied through a comb applicator and washes out in just one rinse. This is a great way to add some color to your locks without longer term commitment, an easy to way to test out a new color, or just fun way to switch up your look for a night out or a fun weekend. Have FUN and Express Yourself with Splat Hair temporary hair dye.Splat hair color kits are made for having fun and expressing yourself - anytime, anywhere, any way you please. And no one gives you more vivid color. 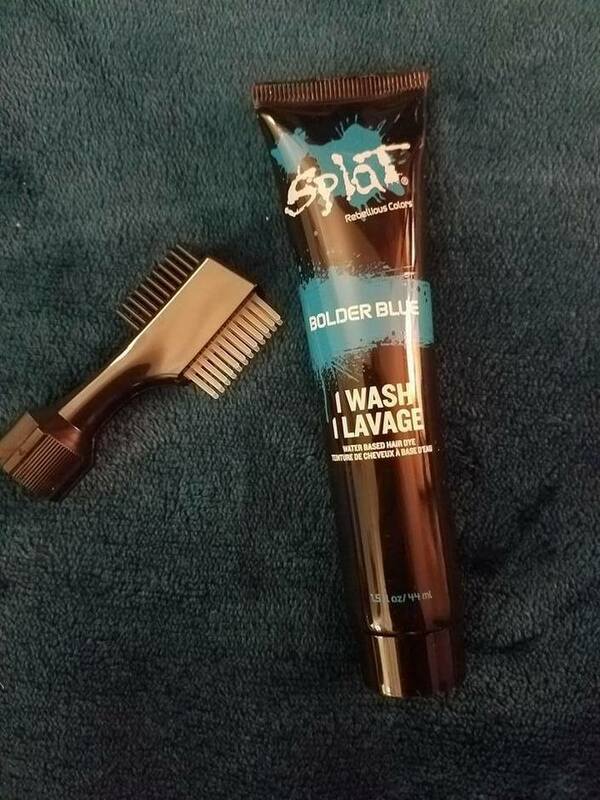 SPLAT 1 Wash ($6.99 at Walmart or SplatHairColor.com): A water based formula that delivers brilliant, vibrant colors via a proprietary comb in applicator. Perfect for that one night, party, or costume. Combs right in, washes right out when you are done. Formulas are cruelty-free, vegan, non-gmo, & gluten free. I was sent samples of each of Splat's vibrant and vivid hair dyes to try out. I haven't had a chance to use them on myself yet, but the Bolder Blue looks intriguing!